Five reasons you need to start using autoresponders today! Every business can benefit from using automated emails to target and engage prospects. Autoresponders are prescheduled emails, usually one or more in a series, that are triggered by an action or behaviour, at any time of the day. Although they’ve been around for a while – we’ve been using them here at Juicy for many years – not all businesses are aware of the ways they can be used to benefit your business. Here are five ways you can use autoresponders to increase engagement, leads and sales! Automate your customer journey – The best way to educate your new subscribers is to use your emails to guide them seamlessly from point A to point B. Use the journey to educate and inform, provide value and of course promote your products. By creating a series you are providing a consistent experience for every new prospect. The journey you send them on should take them from being a lead, to being a customer! Create an impact – Research shows it can take up to 30 communication ‘touch points’ before somebody starts to pay attention to you. Every time you send them an email, they open it and read it – and they start to develop a habit of doing so. Habits are formed when you repeat three steps over and over again. Autoresponders are great for getting your subscribers in the habit of opening your emails and clicking through. The important bit is to send the right content. Autoresponders enable you to nurture your leads, build their confidence and increase trust. Provide a value-add service – Autoresponders are a great way to welcome a new subscriber to your brand. You should always include something of value – a special offer or exclusive download, or link to something of specific interest. By adding value you’ll keep them engaged and loyal to your brand. Your emails can provide a bit more in-depth knowledge on the product they’ve just bought from you for example. You could include links to ‘how-to’ videos and links to your customer care services. You could also think out of the box – talk about ways they can use your product or how it can enrich their lives. Use your imagination! This attention to detail builds customer loyalty, meaning they are more likely to buy from you again. Target based on buyer behaviour – There are automated marketing solutions available such as InfusionSoft and HubSpot which allow you to set autoresponders based on specific behaviour on your site –such as shopping cart abandonment. This requires a higher level of investment in time and money but the returns can be huge. How many autoresponders should you send? There’s no right answer. Generally 7-10 is a good number but it can be more or less according to your business needs. You can vary the amount of time between emails to make them more frequent at the start. Some autoresponder campaigns go out over a period of weeks, some over a period of months. It goes without saying that your data needs to be sound in order to use autoresponders most effectively. You can’t send prospects a birthday offer if you haven’t asked their date of birth at sign up! We’ll be talking data capture in a future post! Remember, autoresponders shouldn’t entirely replace your general email communications. 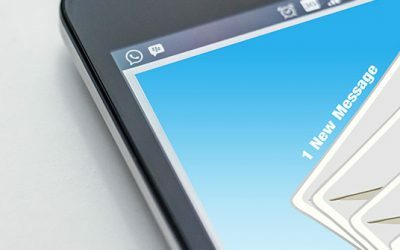 We’d still recommend sending timely and topical email newsletters 1-4 times per month to your customers, so that your relationship building continues once your autoresponder series has ended! At Juicy we have lots of experience writing and building autoresponder series for our clients. If you want to make a real impact on prospects do give me a call on 01256 335662 or email me diane@juicymarketing.co.uk – there’s no better time than now to start.